The difference between Stainless Steel 304 vs 316 is 304 contains 18% chromium and 8% nickel while 316 contains 16% chromium, 10% nickel and 2% molybdenum. The molybdenum is added to help resist corrosion to chlorides (like sea water and de-icing salts). Type 304, with it’s chromium-nickel content and low carbon, is the most versatile and widely used of the austenitic stainless steels. Type 304 alloys are all modications of the 18% chromium, 8% nickel austenitic alloy. 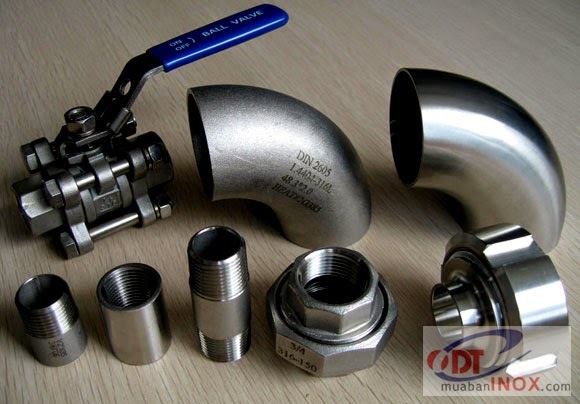 Applications for this group of alloys are varied and all possess somewhat similar characteristics in resistance to oxidation, corrosion, and durability. All provide ease of fabrication and cleaning, prevention of product contamination and over a variety of finishes and appearances. Type 316 is an austenitic chromium-nickel stainless and heat-resisting steel with superior corrosion resistance as compared to other chromium-nickel steels when exposed to many types of chemical corrodents such as sea water, brine solutions, and the like. Type 304 stainless steels can meet a wide variety of physical requirements, making them excellent materials for applications including auto molding and trim, wheel covers, kitchen equipment, hose clamps, springs, truck bodies, exhaust manifolds, stainless atware, storage tanks, pressure vessels and piping. Type 316 alloy is a molybdenum bearing stainless steel. It has a greater resistance to chemical attack than the 304 family. Similarly, Type 316 is durable, easy-to-fabricate, clean, weld and finish. Represented by ASTM-A240 AND ASME SA240. Elements by Percentage by Weight - Maximum Unless Range is Specified. The 18% chromium, 8% nickel, provides good resistance to moderately acidic or caustic solutions. Type 304 may be considered to perform similarly in most non-severe applications. A notable exception is in the case of welding. Low carbon (304L) is the recommended alloy and provides increased resistance to intergranular corrosion. The addtion of 2% molybdenum makes 316 considerably more resistant to corrosion and oxidation than the 304 family of alloys. Typical Mechanical Properties required for annealed material covered by ASTM A240. Yield Strength .2% offset = 30,000 / Ultimate Tensile Strength = 80,000 / Elongation = 50%. Hardness R = 90 max. Typical Mechanical Properties required for annealed material covered by ASTM-A240. Yield Strength .2% offset = 30,000 / Ultimate Tensile Strength = 80,000 / Elongation = 50%. Hardness R = 90 max. Type 316 is considerably more resistant to solutions of sulfuric acid, chlorides, bromides, iodides and fatty acids at high temperature. In the manufacture of certain pharmaceuticals, stainless steels containing molybdenum are required in order to avoid excessive metallic contamination.